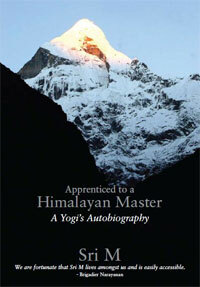 The autobiography – ‘Apprenticed to a Himalayan Master: A Yogi’s Autobiography by Sri. M – narrates the spiritual journey which 19-year-old Mumtaz Ali Khan took to the Himalayas to return as Sri ‘M’, a yogi with profound knowledge of the Upanishads and deep personal insights.’ Sri M, as he is popularly known, is a social activist, educationist and a crusader for inter-religious harmony with a deep knowledge of world religions. The Satsang Foundation was founded by Sri M to assist the underprivileged to lead lives of self-respect, self-reliance and peace. He runs a free school ‘Satsang Vidyalaya’ for tribal children of Madanapalle in Andhra Pradesh. He also runs The Peepal Grove School at Sadum in Andhra Pradesh which has innovative and life-enhancing methods of teaching. Then there is Manav Ekta Mission that works towards spreading the oneness of all religions. The bonus for those interested in the secrets of yoga, meditation and sankhyan metaphysics is that Sri ‘M’ is still living and easily reachable. He leads a normal life, married with two children, wears no special robes and conducts himself without pomp or paraphernalia. Someone who met him recently said, “I expected a flashy godman and instead I saw a jean clad gentleman with a smile of his face, ready to discuss my problems. In five minutes flat, I said to myself, this is no ordinary man. The peace and tranquility that enters your system is tangible”. Richard , thanks for the clarification - yes these names can be quite confusing at times as well as the Organizations . There are a multiplicity of same name organizations . Sorry, in this post you mentioned Satsang Foundation. There is a speaker/teacher named "Mooji" who does a series of videos called "Satsang With Mooji" I didnt know if they were related or not. He is actually quite a good speaker, but after having researched I answered my question. They are not the same. Sorry to confuse. I have to confess you are over my head , what is Mooji ? Yes after all what are people after ? some peace and solace and if a person by his presence is able to convey it - It is good enough . Many descriptions will be given by the public like , Yogi, Godman,Sadhu ,Saint ..... I guess we cannot gauge a persons internal state - even of ordinary people we have to go by indications only . Peace is just as good a virtue that one can attain to . I hope the people will not spoil him in future ! How would you recognise 'God' if he came to us? Not on his clothes, he would not tell you "I'm God", but if you have truth in your hart he would recognise you and you would recognise him. Seems to me this man is doing his work for humanity not for his own glory.